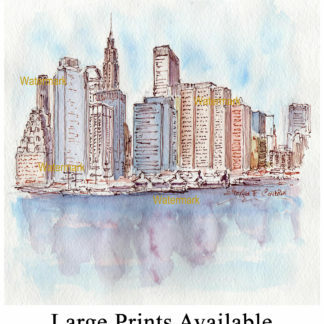 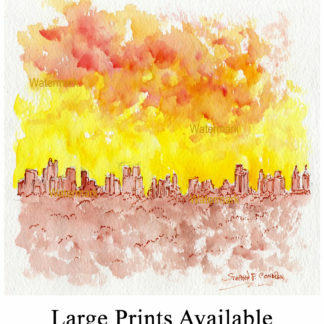 Manhattan skyline #840A pen & ink watercolor cityscape painting, which is for sale here, at discount with prints by artist Stephen F. Condren, SAIC, of Condren Galleries, a Fine Arts Gallery, offering JPEG & PDF prints. 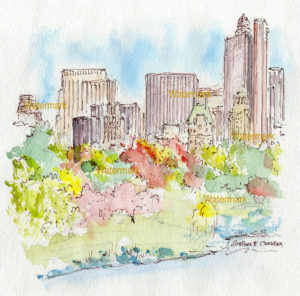 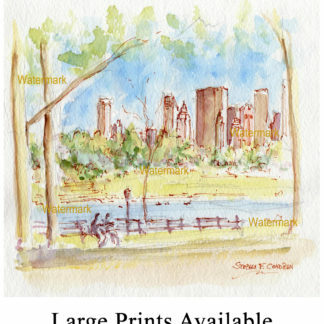 Watercolor of Manhattan skyline from Central Park overlooking the Jacqueline Kennedy Onassis Reservoir by artist Stephen F. Condren. 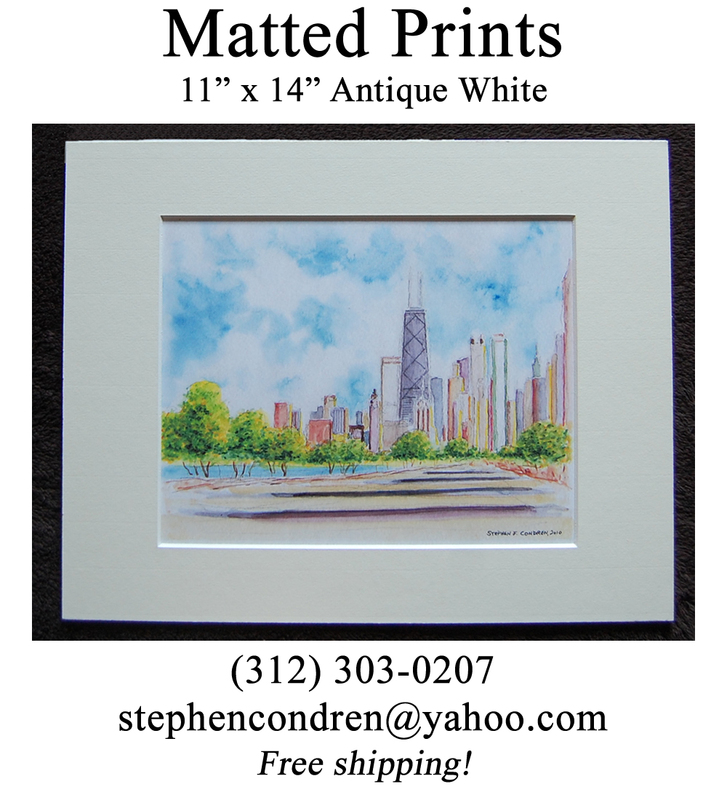 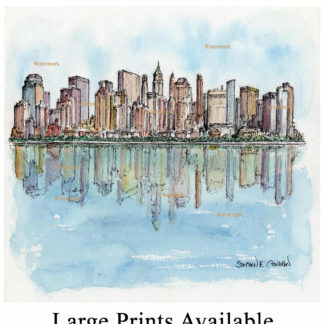 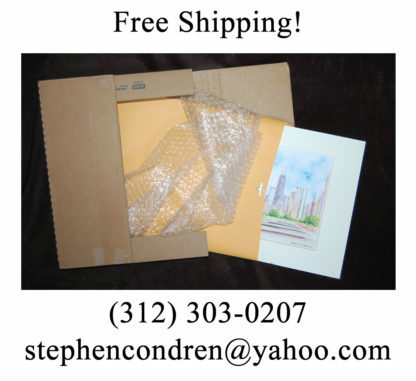 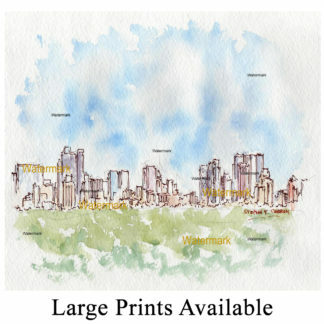 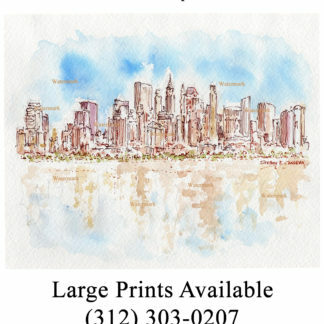 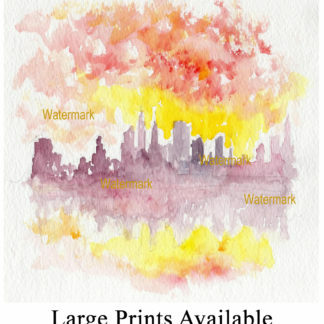 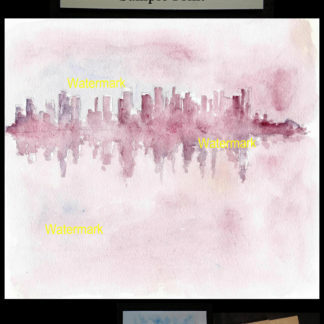 Manhattan skyline watercolor seen from Jacqueline Kennedy Reservoir by skyline artist Stephen F. Condren, BFA-SAIC. 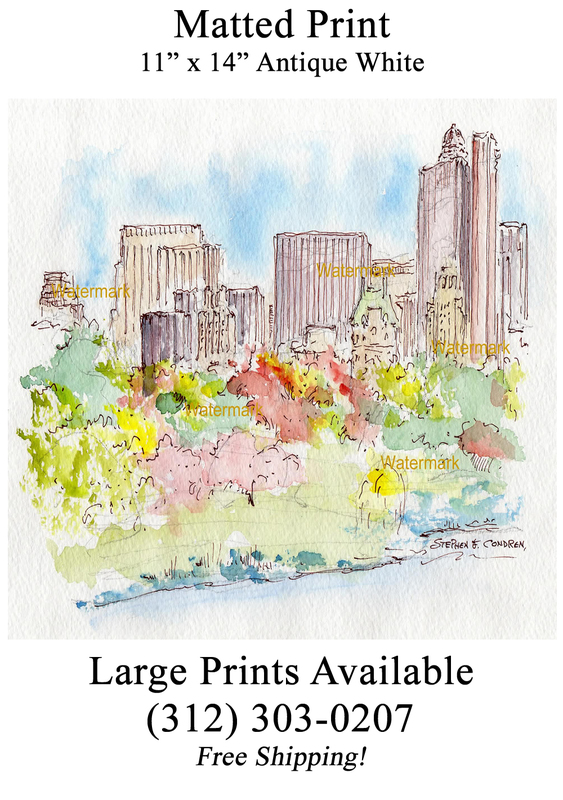 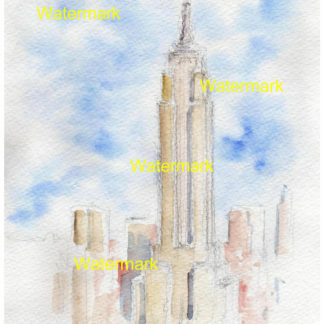 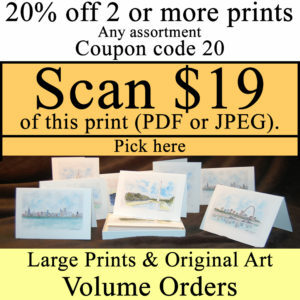 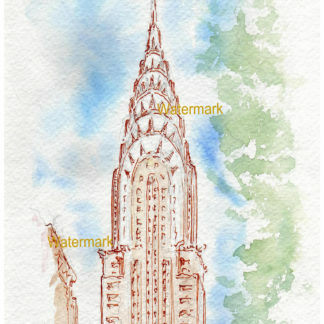 In this watercolor painting we have a lovely view of Central Park with the towering skyscrapers of Manhattan Island, New York, standing like guards behind the serene setting. 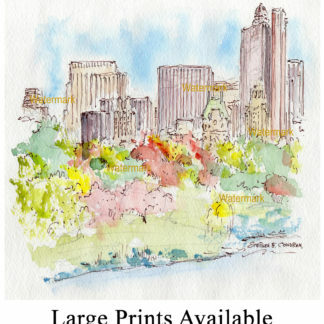 The lush greenery of Central Park beautifully compliment the tones of color in the clouds and the skyscrapers above.